Yep, that's right, we have been married a whole year! I can't believe this year has gone by so fast! It has been great and I can't wait for another 49+!! We actually have not completed any of these, but we plan to this weekend. I found both of these on Pinterest (you probably figured that) and I am excited to complete them! 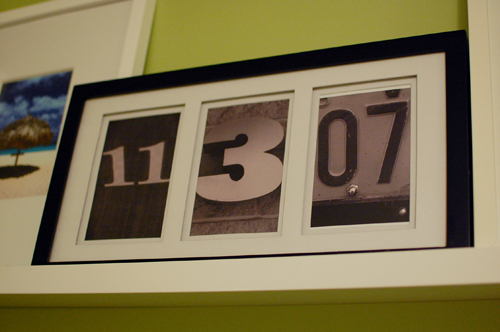 I love the idea of taking photos of numbers in our environment (license plates, house numbers, etc) and framing them. 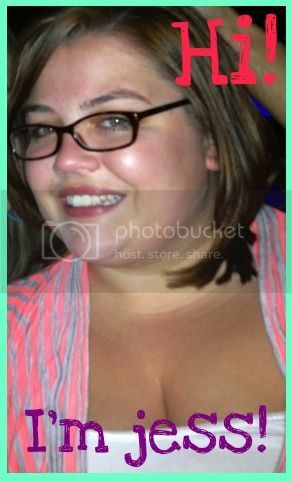 Every year on your anniversary (or close after... oops) take a photo of you holding a photo from your last anniversary. We are planning to take a photo with our wedding photo as our first anniversary. I hope we can keep up the tradition! So that's the plan. I hope everyone found their way over here, and I am really excited to share my new home with you all. I noticed in the move that I left you all hanging with our Washer and Dryer pedestals. I will try and wrap that up this weekend. Also this weekend we are planning on getting out our holiday decorations and making some more progress on our windows and wing back chair. I saw the photo one on pintrest, it looks adorable and the anniversary date is likewise brilliant, it'd be a nice piece to hang up! Congrats on moving to your new 'home', it looks fantastic!!! Love you sis!